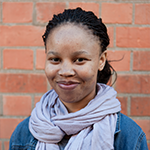 Dimakatso did a Bsc and Bsc (Hons) in archaeology at the University of Cape Town and joined the museum as an NRF intern in May 2016. She joined the permanent staff in 2017. She is currently registered for a Masters degree at the University of South Africa with research that considers the relationship between pottery clays, pottery decoration and marriage in the Late Iron Age of KwaZulu-Natal.